We are happy to be able to offer you a BFI line in clutches. 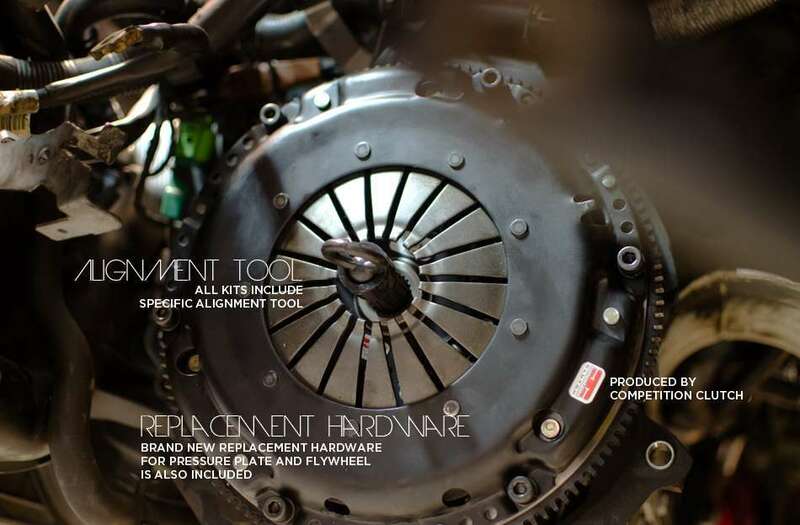 These Lightweight Flywheel and Clutch Kits are offered in 5 different stages, to meet a variety of applications. Below we have outlined and simplified what each kit includes to give you and idea of just which kit is right for you. 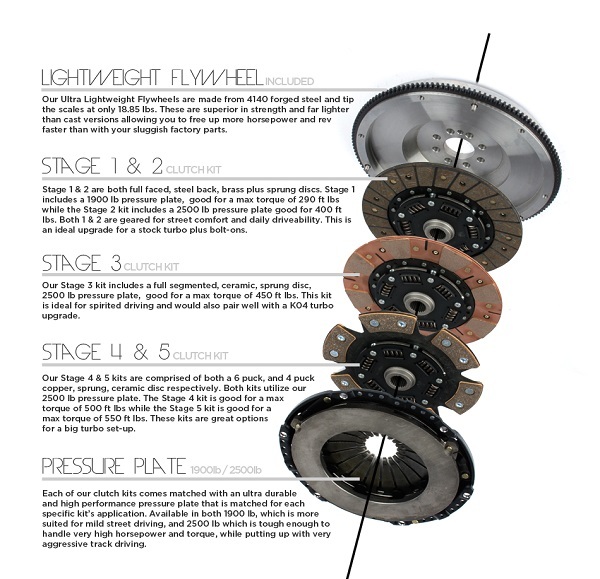 Our Stage 3 kit includes a full segmented, ceramic, sprung disc, 2500 lb pressure plate, good for a max torque of 450 ft lbs. This kit is ideal for spirited driving and would also pair well with a IS38 turbo upgrade.